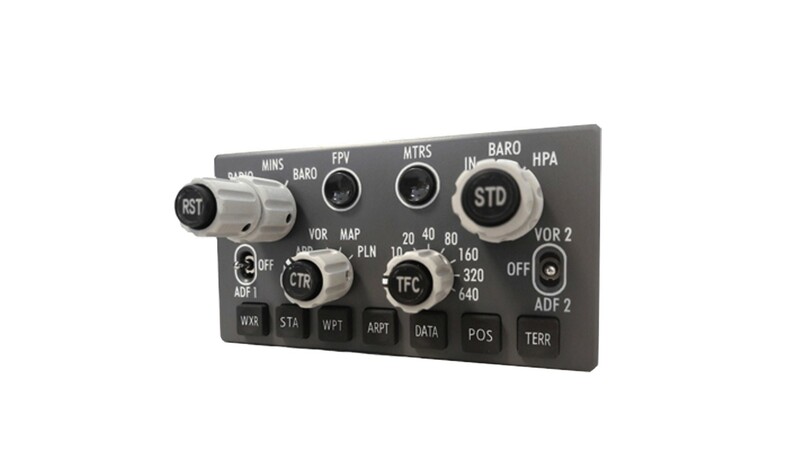 EFIS737PRO2 is a full scale replica of the EFIS selector located in the Boeing 737NG cockpit glareshield. 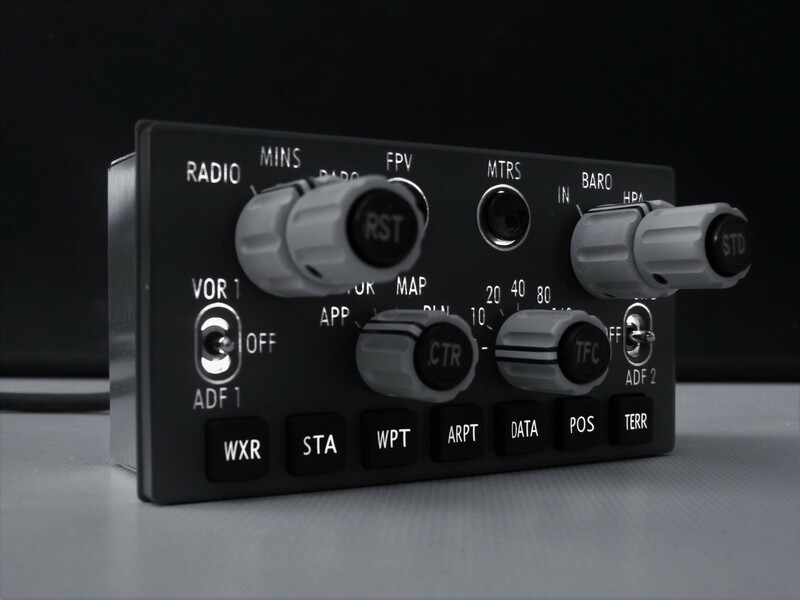 The EFIS737PRO2 may be considered as an extension of the CPflight MCP737PRO1/2- MCP737EL and requires it to operate. 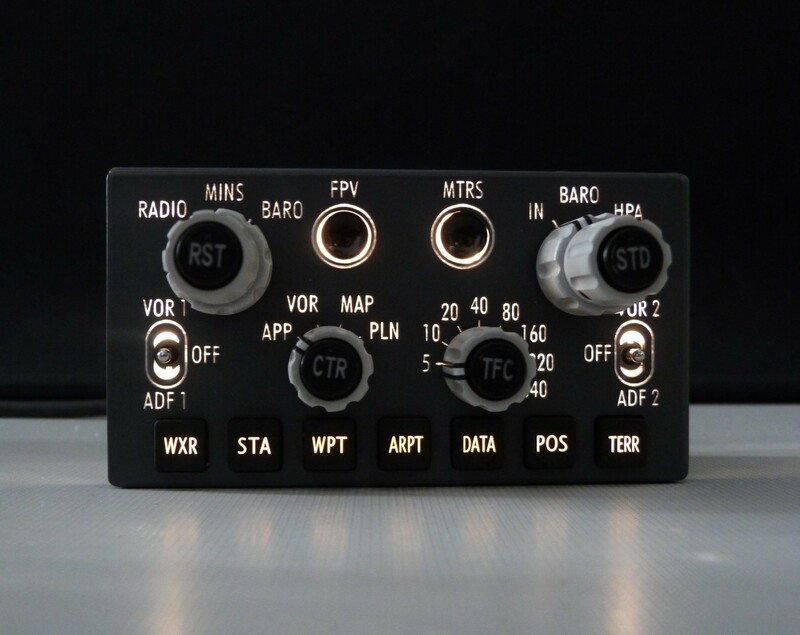 EFIS737PRO2 is fully compatible with Prosim737, Project Magenta, PMDG737NGX, PMDG777, iFly737, LVLD767 and Xplane (x737). Due to the continue evolution of flight simulation field we constantly update the compatibilities. Please verify the current state of the compatibility in the section "Technical and documents". Even if the EFI737PRO2 supports the mainly used FS add-on software, it is not possible to assure the full compatibility with all third part add-on. To know more about the compatibility with a specific add-on aircraft please refer to the latest information shown in the compatibility table in "Technical and documents" section. 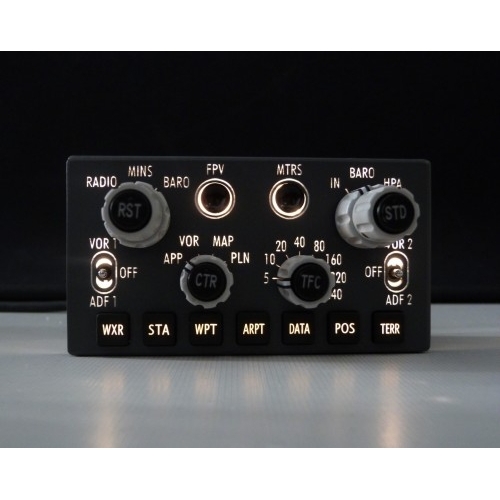 Trough a jumper EFIS737PRO2 can operate as CAPTAIN or F/O selector. EFIS737PRO2 has backlight controlled by MCP737. 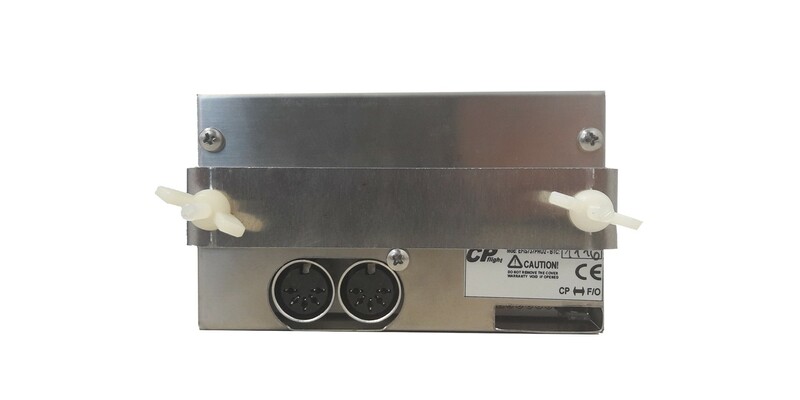 The module is directly powered by the MCP737 and does not require any configuration. Once connected the EFIS will start to work without any other setting. 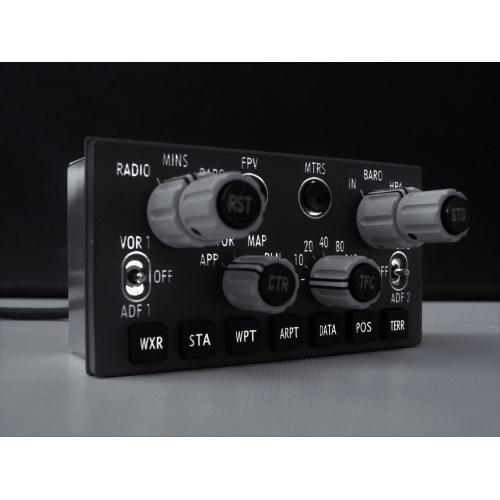 EFIS737PRO2 is directly powered and controlled by the MCP737PRO through a single 5 pole cable (lenght 70 cm provided) and like all others CPflight modules has a second socket, to allow the connection of further devices (daisy chain). 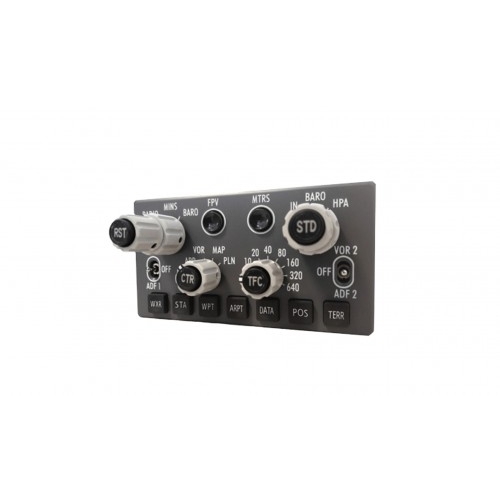 We provide the product with 5 pole cable, mounting parts, bracket and wingnuts. 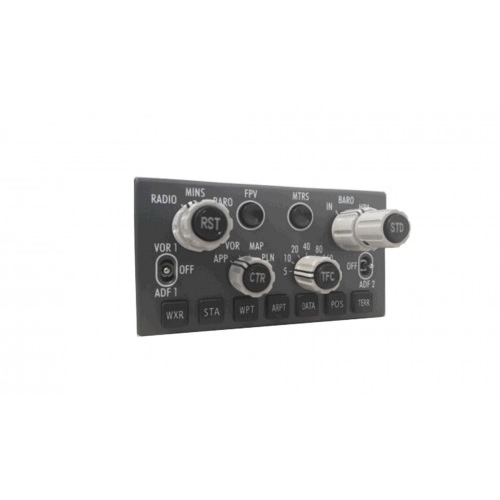 • The RADIO/BARO and IN/HPA are two positions 60° index rotary switches (outer knobs) and mantain the settled position. 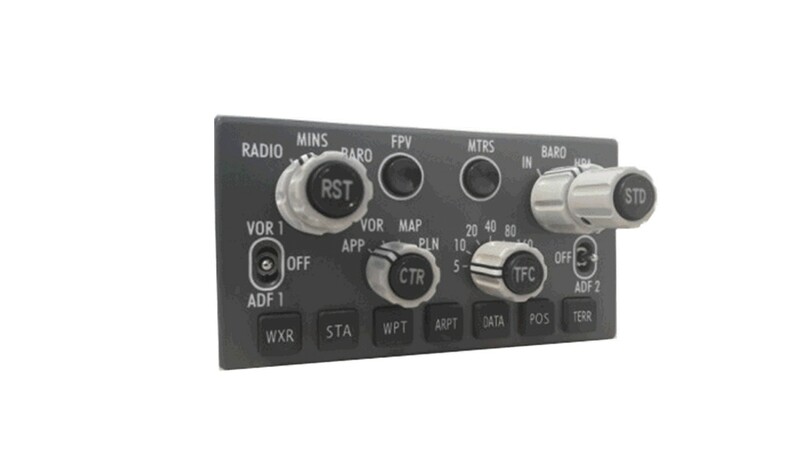 • The MINS and BARO regulation (middle knobs) are real as in the aircraft; they are R/L (rise/lower) regulation kind with spring return to the center. Different rise/decrease intervention is related on how much you would like to rotate the knob (fast slow function). A small rotation angle causes a slow rise/decrease (1 mb each 0,5 second), where a bigger rotation angle cause a fast rise/decrease (10 mb each 0,5 second). 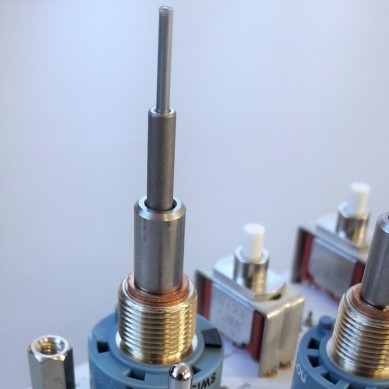 • The RST/STD pushbuttons (inner buttons) have a separate shaft to guarantee a correct label orientation of the central pushbuttons regardless of the other knobs position. 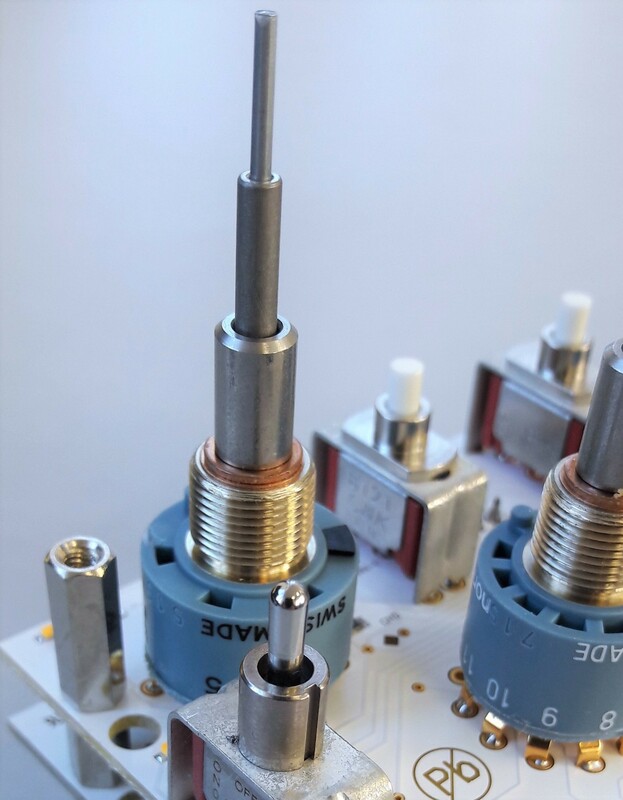 • The TFC and CTR pushbuttons (inner buttons) have a separate shaft to guarantee a correct label orientation of the central pushbuttons regardless of the other knobs position. 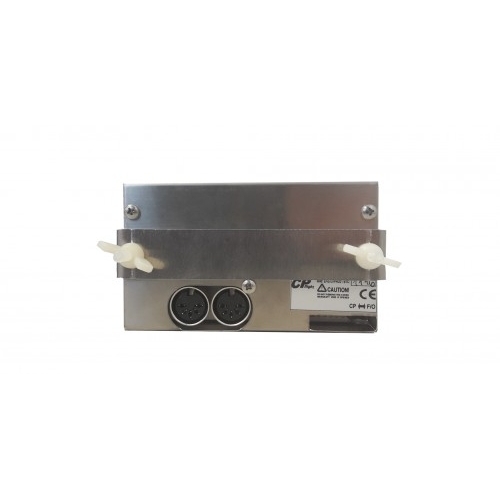 • The circuit is protected by metal cover. 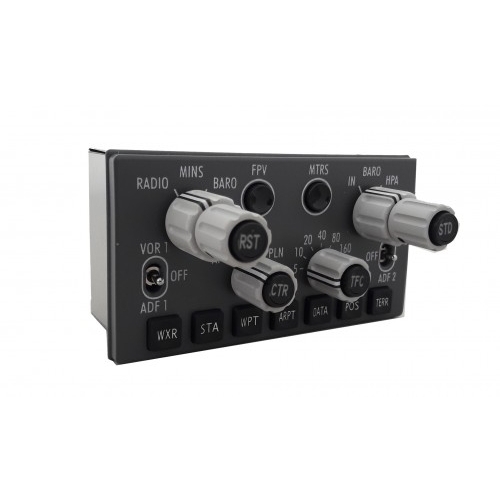 Our EFIS77PRO2 connects directly to MCP737PRO2/EL in daisy-chain together with the other modules. 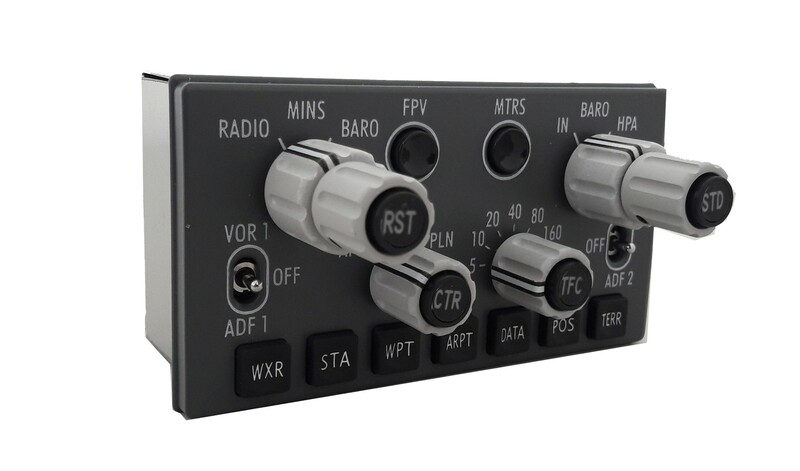 For this reason EFIS737PRO2 does not require further driver installations, software configurations, with no occupation of USB ports on the pc. Behind the panel the thickness of our EFIS737PRO2 is besides of 42 mm.